Piber kindly offered me the chance to ride both new JGas Enduro prototypes which he told me were greatly advanced from when I had last seen them. They were only relatively short distance away at the factory, so we went off to collect them . 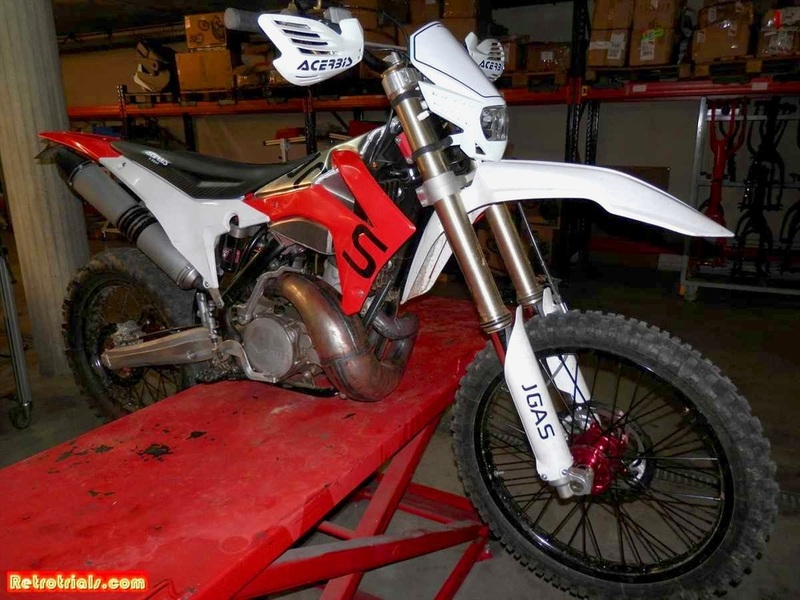 I was particularly interested in riding the Enduro 300 model. When I had ridden it a few months earlier I was very very impressed, but then the power valve wasn't set up correctly. Piber now assured me that everything was working well. We all know that Trial riding is closely related to Enduro, so I hope you find this interesting. I ride Trials and Enduro and feel that one compliments the other. There are a lot of motocross riders who come and ride enduro who are to throttle happy and get into huge traction problems. Not so for most trials riders, grip is what we live for. 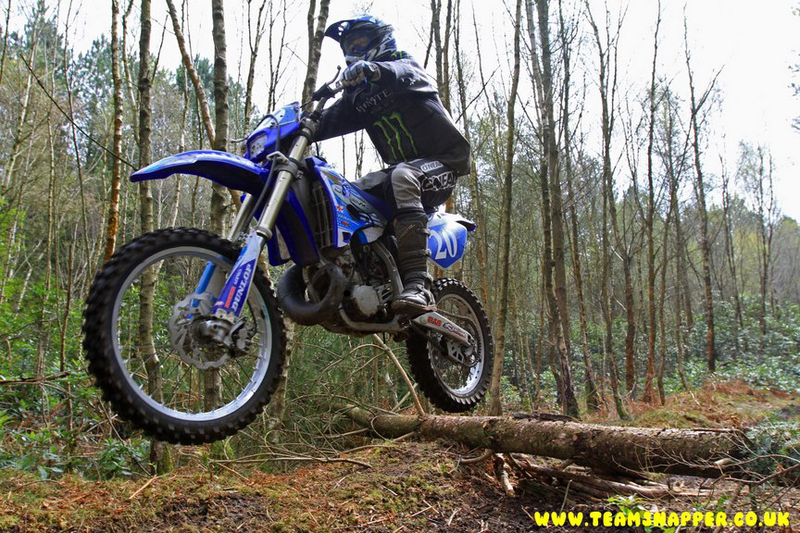 Trials riding can really give you an advantage in the woods as well as on tight and technical going. These days with land in short supply the courses tend to be tight, so trials riders have an advantage. 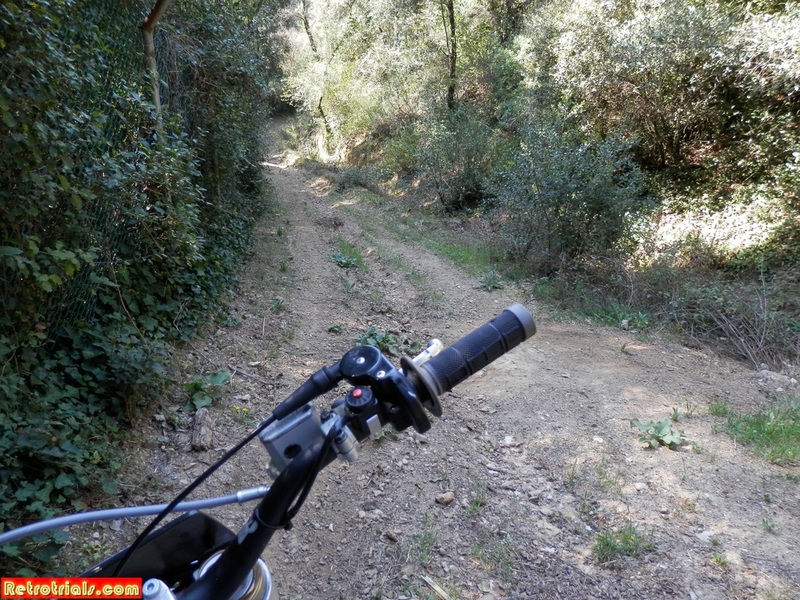 After a few weeks on the enduro bike you have to remember to slow down in the sections :). 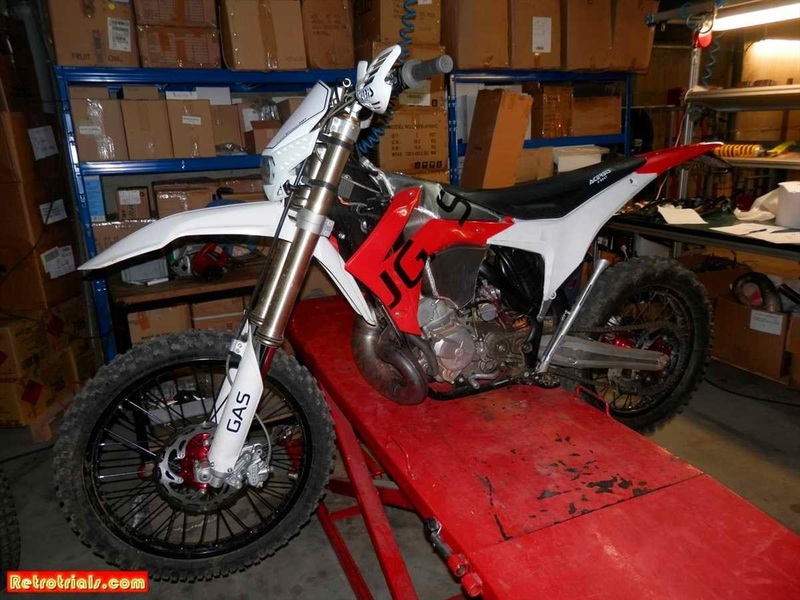 Currently I have a GasGas 300 Enduro bike. Prior to the GasGas I've had a KXF 450 as well as YZ250 in slight Enduro trim. I don't green lane, I race. Ok, I'm not the fastest by a long way but I'm no slouch - thats what i keep saying to myself , anyway :). So here is the new JGas MK 300. This is the latest prototype. The chassis and engine are unlikely to change from this point. 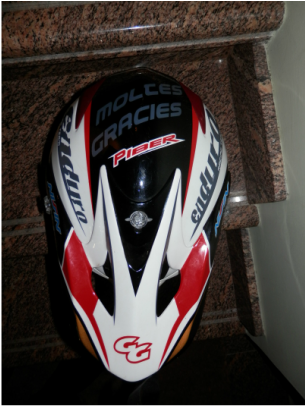 Knowing Piber, I'd be very surprised if he and a team weren't making changes to little things on the bike, right know. Piber is that sort of guy. He is always modifying his bikes. This is what he lives for and is so good at. Remember this - Piber owns JGas. He is the man who won 6 ISDE medals, he's a Spanish Enduro Championship, finished in one of the hardest Paris Dakars ever and created GasGas from a twinkle in his eye, running operations growing it to a 60,000,000 euro company. He's the man who started and entirely owned Hebo and Megamo. His company employed Jordi Tarres and Adam Raga. He's the man who started other flourishing business' as well, all at the same time. I hope you understand. Firstly he's capable. Secondly he's got accessibility to tech products and experience that would make small countries jealous. He's also an impressive character who is tech obsessed and knows what he is doing. Tech is his speciality. He is a workaholic and tech crazy. 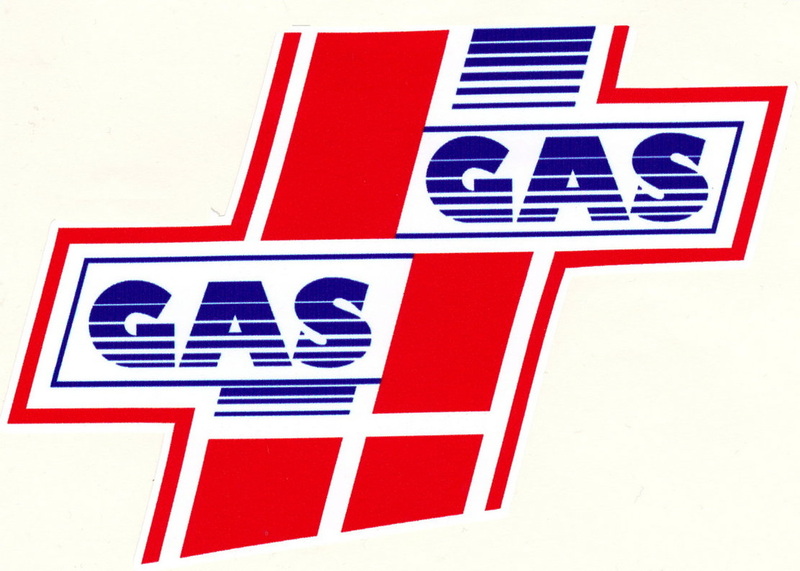 Lastly Piber and his team designed the entire GasGas Enduro range including the engines. 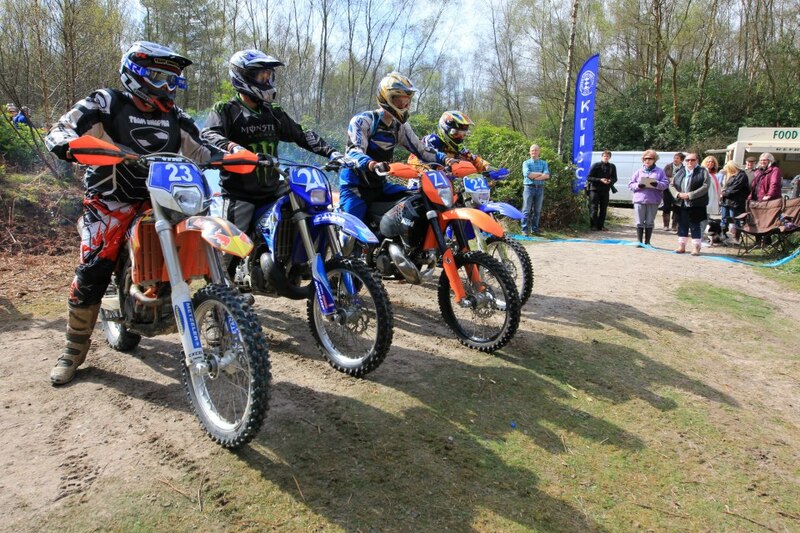 The engine that GasGas run in their enduro bike is very good. Its so good in fact that it remains the same today as the one that Piber and his team designed in 1995. So, now you know the creators credentials, you can look at it with a serious eye. I say this because I know how cautious and cynical people can be about a new kid on the block. I have ridden it a few times and given it a serious blast and let me tell you, it is one serious piece of kit. This is a prototype. It looks gorgeous. Just imagine it dressed in trick graphics, perhaps different coloured plastic panels and seat. It is a quality peice of kit and entirely their own creation. For you information Josep Pibernat did not ask , or suggest in anyway to me that i write about this bike, it was my idea entirely. I mean lets face it ....you get offered a ride on a trick looking proto and were writing an article anyway. Well , sure youd include it !! :). Youd be mad not to . It was a real highlight for me :). The first thing I noticed was how nice it looked and how well built it was . To create a bike that looks this tasty, fit and ready for action is no mean feat. The plastic panels all fit well together and are firmly in place with screws not clips. I asked Piber what the "Real" weight was and he told me 98KG and he working on getting that down. If there was anyone in the entire World of bike building that I would rely on to get the weight down, in a short space of time, it would be Piber. No board rooms, no meetings, just do it. I then sat on the bike and thought ouch ! The seat is too hard. That will need to change. The suspension was set up reasonably firm front and rear. Piber told me that he hadn't adjusted it at all. It felt good and certainly set up for a quick rider. I then flicked up the carb choke lever and kicked it over. It started 1st kick from cold. There is no mechanical noise at all . Nothing. Just a mild well packed note from the Italian exhaust. Piber mentioned that this exhaust might possibly be another branded item when the bike is unveiled. 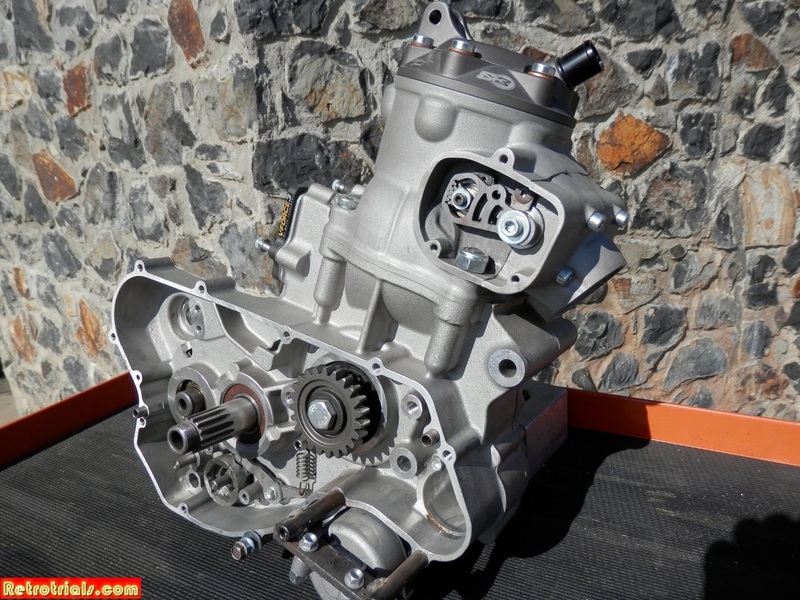 The 2 stroke 300 6 speed motor is fitted with a keihin flat side carb which ran perfectly and was set up spot on. I engaged first gear and was off for a blast ...and it had been raining heavily for 10 minutes. Whilst I'd find the woods still had plenty of grip the driveway, certainly didn't and I nearly high sided it- oops :). 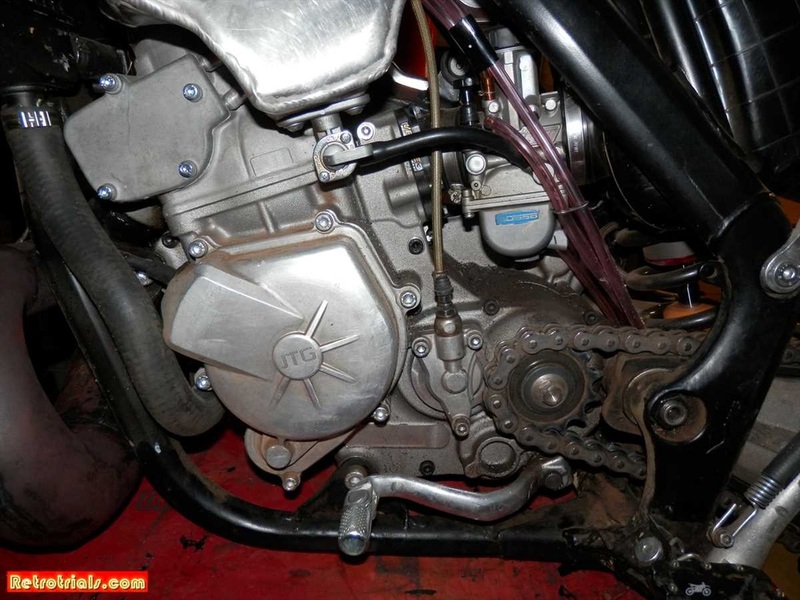 The 2 photos of the bare engine were taken much earlier in the year. Now the prototype was making huge advances. 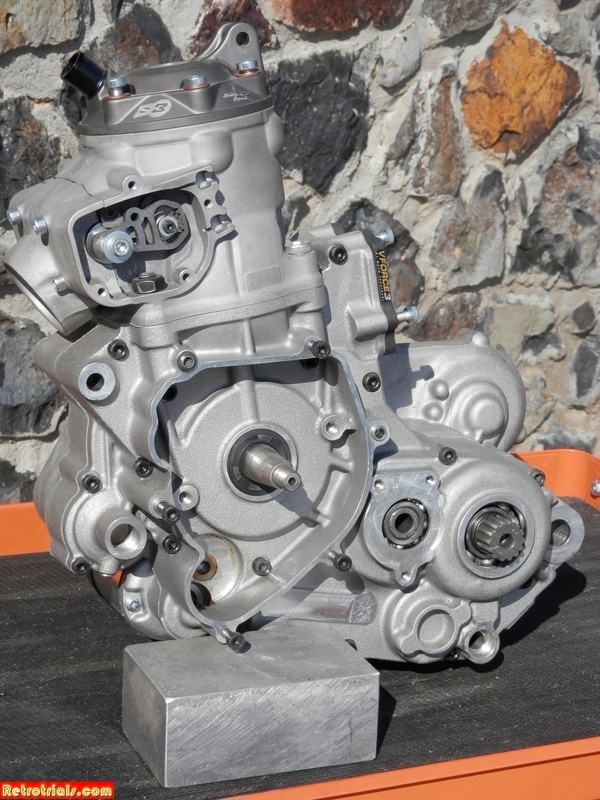 The JGas will of course be fully homologated and fitted with a sump shield as well as chain guards. You really should get a look around the other land that Piber has here. Its superb for trials and racing as well. 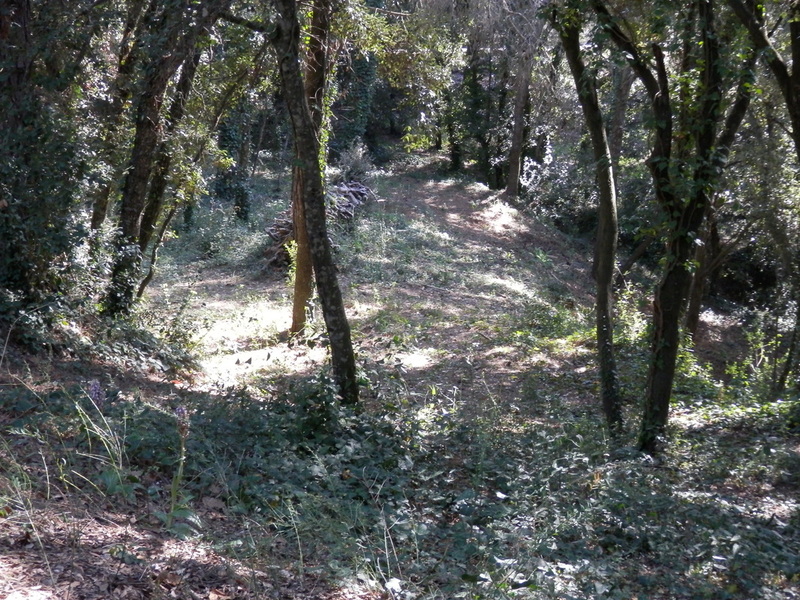 The gardens are off at a slight camber but as you go down into the woods it becomes terraced with slopes connecting the levels. First the drops between the levels are fairly easy, then they soon become vertical. There is some huge Trial potential here. After 30 seconds or so I hit the dirt where the tyres could find some grip. I first went to explore. These photos were taken another time when it was dry and I was on the trials bike, but at the time of testing the enduro bike, it was raining. 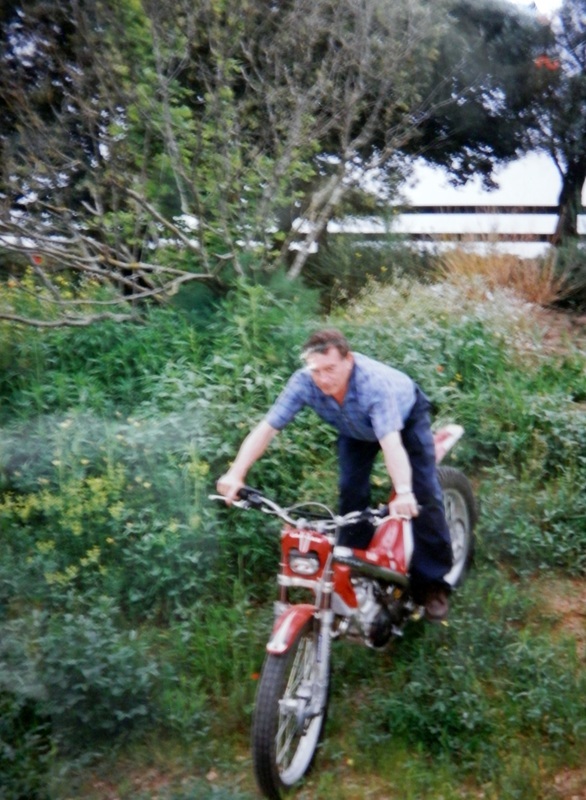 Piber out riding a Pro in his garden, back in the GasGas days. You guys know the drill. The photos just don't show the angle. This section is far far steeper than it looks. 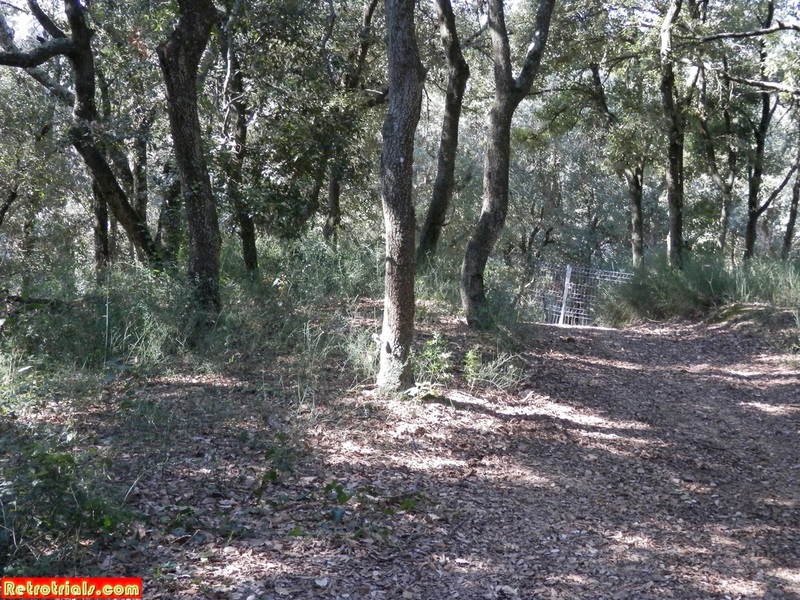 It is right in the back edge of Piber's land and is very very challenging. So challenging that I didn't even attempt it. 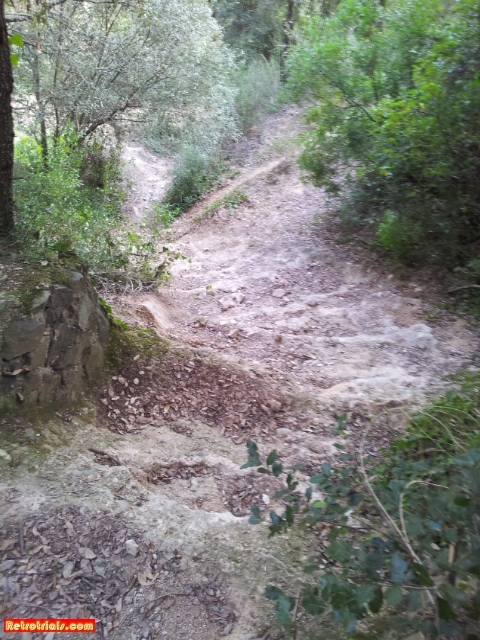 This area had specifically been shaped and designed into Trials sections. You can imagine the names that must have practised here ! 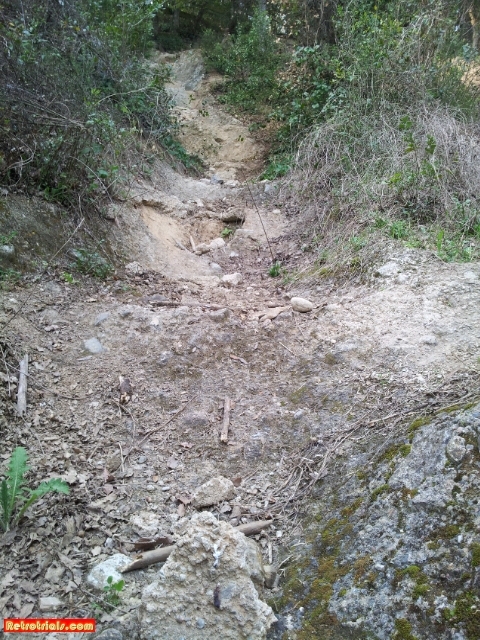 Despite me avoiding the Tarres sections the climbs that I went up were very very tricky off camber loose slopes. If you stopped, you wouldn't start again, it was so steep and loose. I selected 2nd gear and found the hydraulic clutch simply brilliant in feel and power. The levers and master cylinders were Brembo. The bike held line brilliantly and I kept saying to myself I just couldn't believe how good this bike was. It simply was superb. I found that the lower part of the white panel touched my left boot which I didn't like, so I mentioned that later to Piber later and he looked to see what he could do, with his mechanic, who was also present. Once I took the chicken route past the steps, stair case and vertical banking I made my way towards the orchard. The approach was all on green grass which is always slippery. Now out in the open the rain was hammering down, but this was no time to be a softy. It was now time to find out what this bike was made of. I came out of the woods onto the grass and as my speed increased I lined up for the gaps between the Apple trees in the orchard and gunned it. 2nd flat out, up into 3rd with no clutch and then 4th as the hedge appeared in front of me, very very quickly.